With both teams on a 6-6 record, albeit sitting in fifth and 7th place in the group, this is a must-win game for both teams. The winning team will not guarantee anything with respect to their playoff hopes but the losing team will definitely know that they are in a massive struggle to make their way through to the next stage of the Euroleague. The hosts are in a position where depending on results, they could book a playoff spot this week but they could also be eliminated from the playoffs if results go against them. If FC Barcelona win by at least 10 points and Khimki Moscow Region and Real Madrid both lose, Barcelona are in the playoffs. If Barcelona loses by more than 3 points and both Khimki Moscow Region and Real Madrid win, Barcelona is out of the playoff hunt. There is pressure on the Catalan side but it is up to them to prove if they will respond to the pressure or wilt when the heat is on. While Bamberg knows that they cannot qualify or be knocked out this week, they also know that they really need a win to keep them right in the mix. 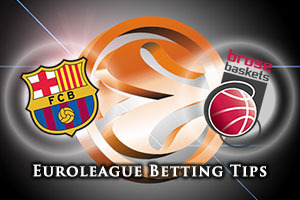 They have already defeated Barcelona this season so another win would give them a 2-0 record, and when you add that their 2-0 record against Olympiacos Piraeus, a win would see the German side well placed when it comes to multiple-way ties. The Germans defeated the Catalans 74-70 back in Round 6 with Janis Strelnieks grabbing 16 points in that win. Another strong showing could make all the difference when it comes to qualifying for the playoffs. 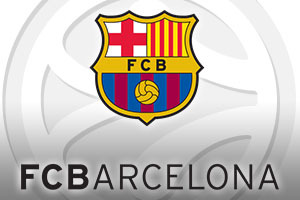 The bookies are backing Barcelona in this win and given that a 10 point win will be of significant benefit to the Catalan side, taking FC Barcelona Lassa at -10.5, at odds of 1.90, is likely to be a smart bet for this week. If you are looking at the Over/Under market, look to go UNDER 151.5, at odds of 1.90. Bet Now!